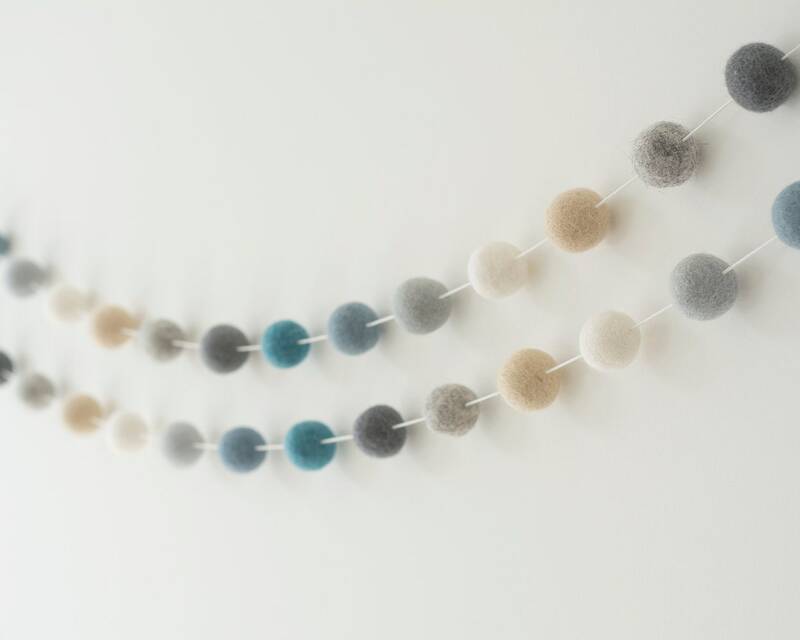 This garland is a beautiful soft mix of blues with white grey and sand coloured felt balls and makes a lovely addition to a little boys room or nursery. A wonderful gift for a Baby Shower or add to a maternity leaving gift box. 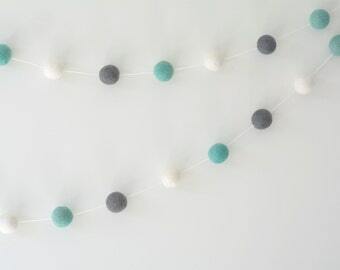 Add a bunch of colourful Pom Flowers! 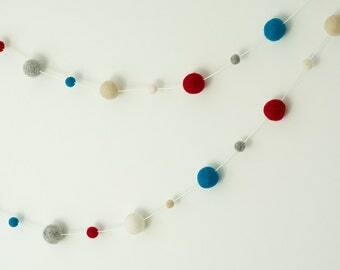 Looks really cute in my sons nursery... fast shipping!